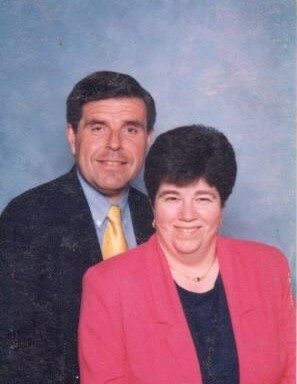 Mary E. Roman (Fenocketti) died peacefully April 6, 2019 surrounded by family and friends in Brigham and Women’s Hospital after a courageous five and a half year battle with cancer. She was 61 years old. Mary was a graduate of North Quincy High School and Babson College. She began her career at the Thomas Crane Public Library as a Sr. Library Assistant. She later worked for 18 years for Jordan Marsh and Hallmark in Braintree. She has spent the last 21 years working at Milton Academy in the business office. While working full time, Mary was also a caregiver to her aunt, mother, sister and father-in-law. Mary enjoyed the outdoors and had a great spirit of adventure. She loved highway driving and she enjoyed summer and fall trips to Ogunquit, ME. Mary had a great sense of humor and made everyone around her feel like a friend. She was active as an advisor to St. Gerard Majella Church CYO in Canton, and sang in the choir. She was also active in many ministries in St. John the Evangelist Church in Canton. Daughter of the late Leonard and Marian Fenocketti. Devoted and loving wife of Joseph J. Roman of Canton. Loving sister of the late Barbara Fenockotti. She is also survived by many loving friends. Visiting hours in the Pushard Family Funeral Home, 210 Sherman St., Canton, on Wednesday, April 10, 2019 from 4-8 PM. Relatives and friends are respectfully invited to attend. A Mass of Christian Burial will be celebrated on Thursday in St. John the Evangelist Church 700 Washington St., Canton, at 10 AM. Interment at St. Mary’s Cemetery, Canton. If desired, donations in Mary’s memory may be made to the St. John’s School Foundation, 700 Washington St., Canton, MA 02021 or to the Dana-Farber Cancer Institute, 450 Brookline Ave., Boston, MA 02215-5450.